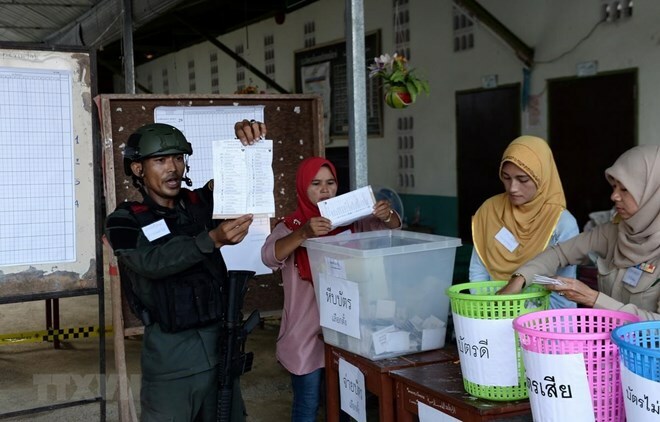 Bangkok (VNA) – The Election Commission (EC) of Thailand on March 28 announced the results of the country’s general election which took place four days earlier. On March 25, the EC delayed without explanation the announcement of preliminary results of the general election – the first of its kind in the country since a military coup five years ago. A total of 81 parties competed in the election, with thousands of candidates vying for 350 constituencies. The other 150 members of the House of Representatives will be elected from the national party lists under a system of proportional representation.